As a runner, your biggest asset (or sometimes your greatest enemy) is your brain. What you think and feel on and off the road also has a huge influence over how you perform once you lace up. Runner's World The Runner's Brain shows you how to unlock and capture the miraculous potential of the body's most mysterious and intriguing organ and rewire your mind for a lifetime of athletic success. 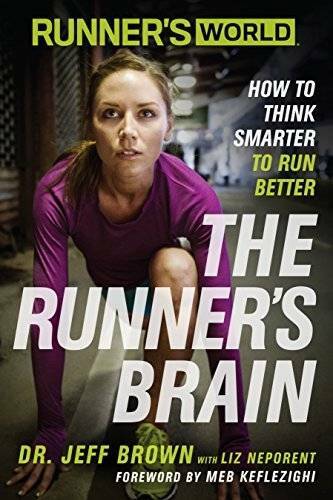 The book is based on cutting-edge brain science and sports psychology that author Dr. Jeff Brown uses every day in his private practice and as part of the medical team of several major road races including the Boston Marathon. Full of fascinating insights from runners of all abilities-including champion marathoner Meb Keflezighi and other greats-the book includes trustworthy information that's been proven to work both in the lab and on the road.